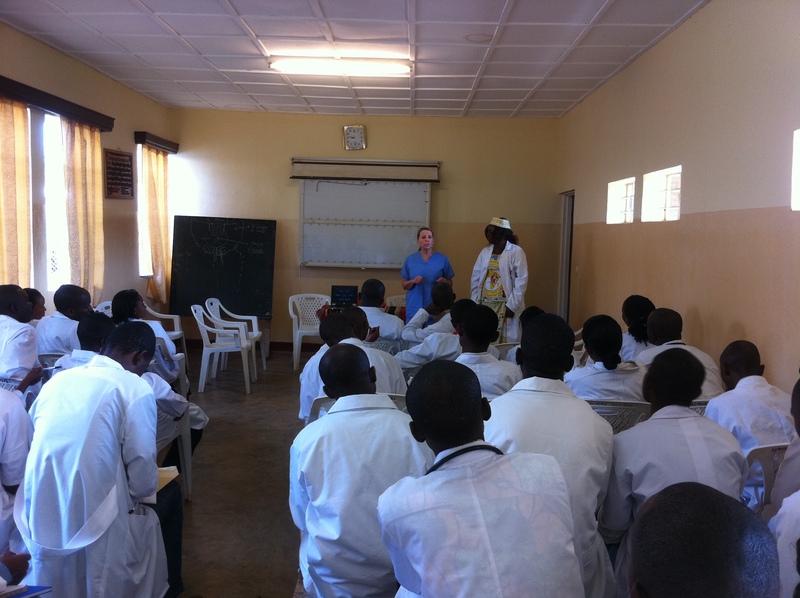 "We started the morning surrounded by the staff and patients of Panzi, gathered in the courtyard for morning prayers. We looked out on the beautiful women wrapped in colorful pagnes. We felt like we understood Bercky’s inspirational devotion. 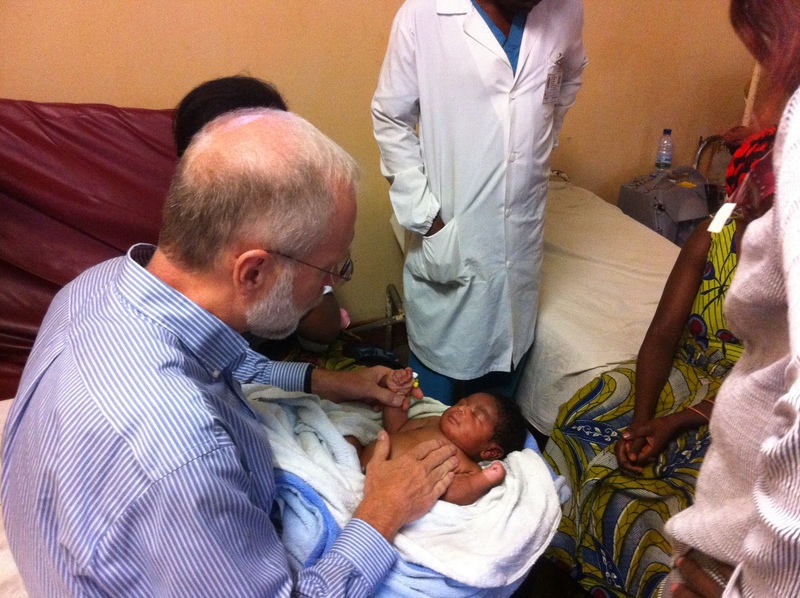 Then Dr. Mukwege invited Dr. Phil Fischer to give our thanks and good-bye in Swahili. Dr. Fischer responded that the Bible says we should love God with mind, body and heart. This week, we have seen God’s love as we see all the staff here teaching, healing and caring for minds, bodies, and hearts. We will leave here with them in our hearts, and we leave half of hearts here with them. It was beautiful benediction and everyone cheered. We then joined the women survivors for morning dancing and singing in the courtyard, and we were welcomed as part of the group. Dr. Sean Dowdy and Dr. Emanuel Trabuco went to the OR to facilitate the ongoing adoption of the new cystoscopy instruments. Dr. Fischer made rounds and did more teaching, as did Dr. Doug Creedon. Lois McGuire, R.N., C.N.P., gave a lecture of incontinence. Dr. Deb Rhodes met with Bev, the administrator for Panzi, to discuss long-term strategies. Lois also played tic-tac-toe with some young girls at the hospital. We are leaving the hospital a little earlier than usual today in anticipation of a traditional Congolese farewell feast at the home of Christine’s mother. We are so sad to realize that we will be leaving early tomorrow. We would like to thank beyond words the individuals without whom this trip would not have happened - please check back for our final post from Amsterdam so that we can acknowledge the extraordinary contributions of those in Rochester and beyond who are as devoted to this cause as we are."